I just want to apologise for the lack of posts, I have lacked creativity and motivation the last few weeks but I promise to try more with my posts. 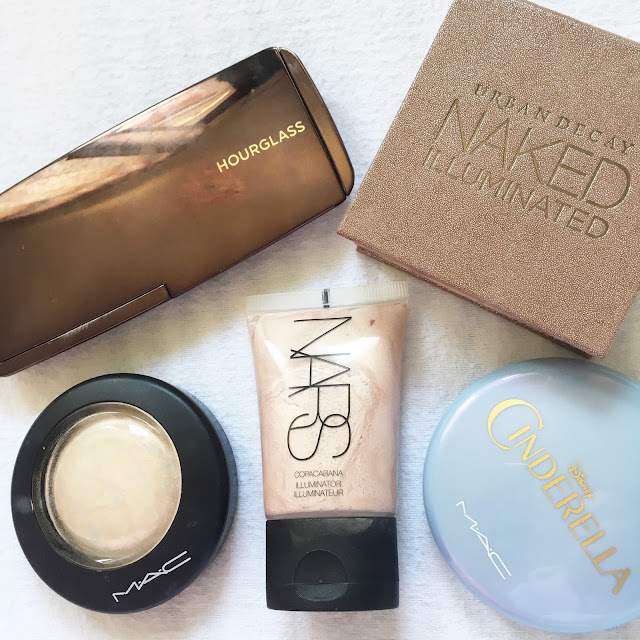 Anyway, I thought after my 'Top Lips' got a great response I would share my Top/Favourite highlighters. 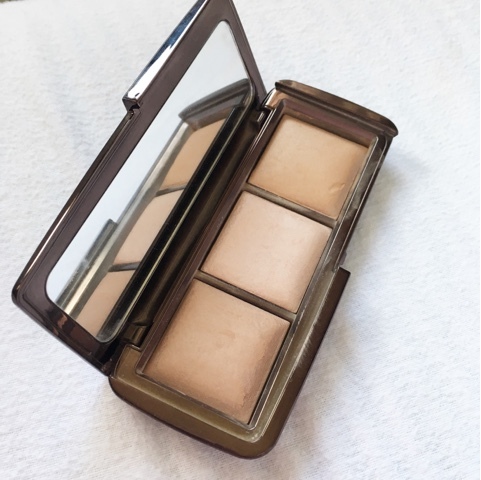 This is the one of the newest highlighters to my collection, I received this from my parents at Christmas time. I wanted to get a golden highlight and when I seen this a feel in love. 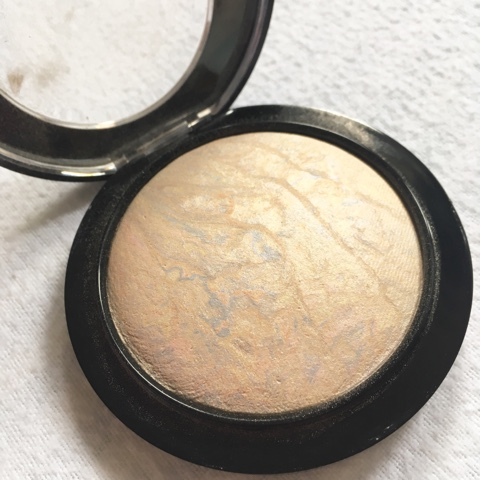 I will say, although, I use it as a highlight, it is more of a shimmer. For some people it would be too much but I love it. This actually can be used all over your body. I haven't used it all over my body yet but coming into the summer I think it will be perfect to give yourself a glow. However, like I said it gives healthy glow so I love it! The Mac Cinderella collection (haul here) was probably my favourite collection they brought out, I wished I purchased more! 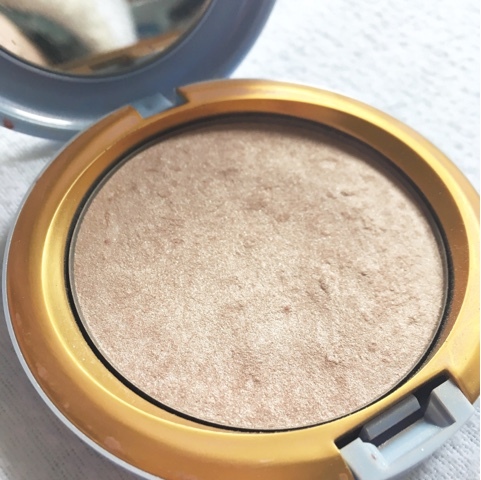 Although this is a beauty powder, I use it for highlight. I have very pale skin so for days that I want to highlight but don't want to go too much I use this. I find it gives a subtle shimmer on my cheekbones. It was also the first highlighter I bought last year so I have to feature it as one of my favs. The packaging is as beautiful as the product which is a great bonus! Just like the 'Mystery Princess', it gives a subtle highlight. But with this one I can build it up to give an even better glow. This also have less glitter so its applies smoother. Again, it is also great for my pale skin. I had been looking at 'Soft and Gentle' but I thought this looked more interesting. I am so glad that I did, although I feel that I don't use it as much as I should but it is 100% one of my favs. The only thing that bugs me is that it has no mirror, I suppose they can't put mirrors on all products but I find myself looking through a clear bit of plastic haha. Next up, it one of my most used Highlighters. I purchased the Ambient Light Palette last year and I have loved it ever since. I love every shade in the palette, although I tend to mix them all together and apply on my cheek bones. I just think that the palette gives a beautiful glow and makes your skin flawless. Last but not least, Copacabana. I received this for my Christmas from Keira and I am just getting used to using it. I had been eyeing it up for a while so I was very excited when she bought me it. 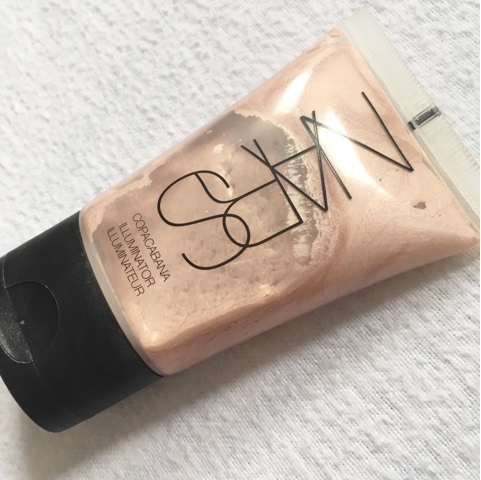 Obviously, it is a liquid highlight so it took me a while to get used to it but what I tend to do it it apply foundation then apply this, it gives a great glow to the face. It is very light weight and with the trend of strobing happening I think this would be perfect! 100% one of my favs!! 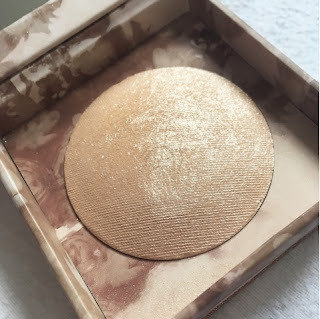 Let me know what your favourite highlighters are? Ahhh I'd love an Hourglass palette in my life!